A Organização das Nações Unidas para Agricultura e Alimentação (FAO) anunciou nesta terça-feira, 2, ter assinado um acordo com a China para combater a fome, aumentar a produção agrícola e melhorar as condições de vilas rurais ao redor do mundo. Segundo a FAO, o projeto de cooperação deve durar cinco anos e foi acertado entre o diretor-geral da entidade, José Graziano da Silva, e o ministro da agricultura chinês, Han Changfu. 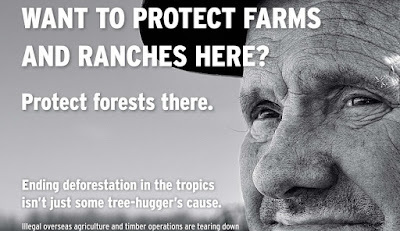 O país asiático já havia estabelecido, em parceria com a FAO, um fundo de US$ 30 milhões destinado a impulsionar a agricultura em países da África, Ásia, Caribe e Pacífico Sul. Com o novo acordo, essa ajuda será expandida por meio da colaboração com instituições chinesas, que poderão prestar serviços em produção, proteção, processamento e conservação de lavouras junto a equipes locais de nações em desenvolvimento. De acordo com o Changfu, a mecanização da agricultura vai avançar pelo nono ano consecutivo na China. Atualmente, disse ele, 55% da agricultura chinesa emprega técnicas modernas de cultivo e produção. 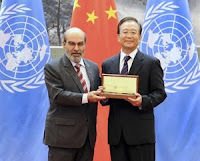 FAO Director-General José Graziano da Silva today presented the Organization's highest award, the Agricola Medal, to Wen Jiabao, Premier of the State Council of China. "This medal is struck in your honour. By conferring it, FAO wishes to pay tribute to your life-long dedication to promoting food security and poverty reduction in the People's Republic of China, and in the world," Graziano told the premier at the ceremony held in the Great Hall of the People attended by over 150 senior government officials, representatives of Chinese farmers and of the academia. The Medal includes a quote from the Chinese Premier, which reads "One who knows not Chinese farmers, knows not China". Premier Wen Jiabao added that without the modernization of agricultural and rural societies in China there would be no modernization of the national economy as a whole. The Premier noted that China has had a ninth consecutive increase of crop production and that the latest grain harvest was 150 millions tonnes larger than in 2003. According to him, these achievements not only contribute to social and economic development and improving people's lives in China but also a significant contribution to international food security. The Premier explained that the main success of Chinese agricultural and rural development was the reform process that started in the late 1970s and that good governance has been practised by his government, which places food security, agriculture and rural development as the top priorities of the entire national economy. During the medal ceremony, Graziano da Silva also noted how China's efforts to feed its own people and to end extreme poverty have a global impact. "Let me give you one number that illustrates the magnitude of this contribution: the number of poor in the world fell from 2.3 billion in 1990 to 1.5 billion in 2008, a reduction of 34.1 percent. A world without China would have progressed much more slowly, with a reduction of only about 11 percent of the number of poor over the same period," said the Director-General. It is the second time FAO has given the Agricola Medal to a Chinese statesman; the first time was to President Jiang Zemin. During Graziano da Silva's first official mission to Beijing, FAO and China signed an agreement bolstering joint efforts to defeat hunger, increase agricultural production and improve rural livelihoods. The Memorandum of Understanding, signed by the Chinese Minister of Agriculture Han Changfu and FAO Director-General José Graziano da Silva, lays out terms and conditions for joint actions and projects over a five-year period. "The Memorandum of Understanding strengthens and takes our co-operation one step further," said Graziano da Silva. "Through the agreement, FAO reaffirms its support to Chinese development. And China confirms its support to South-South Cooperation, in order to support economic and social development in countries of the global south." During his meeting with Graziano da Silva, the Minister of Agriculture said that the ninth consecutive year of growth in food production that China is experiencing was thanks to productivity growth of 53.5 percent, which is driven by advances in Chinese science and technology. He added that nearly 55 percent of Chinese agriculture is now mechanized. China has established a $30 million Trust Fund under the FAO South-South Cooperation framework. The country has already placed more than 900 Chinese experts in Africa, Asia, the Caribbean and the South Pacific to work closely with farmers, extension workers and local institutions for at least two years to introduce advanced farming techniques. The programme will expand under the terms of the agreement signed today. Priority areas of expanded and deepended collaboration include South-South Cooperation and using relevant Chinese institutions and centres to offer agricultural training for developing countries; and, in China, technical collaboration including crop production, protection, processing and conservation; animal health and production; fisheries and aquaculture; agricultural emergencies, agricultural policy and Globally Important Agricultural Heritage Systems (GIAHS). In time, by by, Brazil. Keep your NGOs.!! Enquanto os agricultores do Brasil são acachapados, um brasileiro incentiva a produção agricola noutro país. E por que não no Brasil? Acho que na verdade o produtor brasileiro gosta de sofrer, de ser dominado, guiado, de ter um tutor do mal. Pois enquanto não lançarmos o PLANTÍO ZERO JÁ, nada vai modificar, nada vai ser diferente. Talvez ele esteja animado com o preço do soja, então é só esperar mais uns 50 anos que talvez teremos outra seca nos EUA e todo mundo aqui fica feliz com os preços novamente! 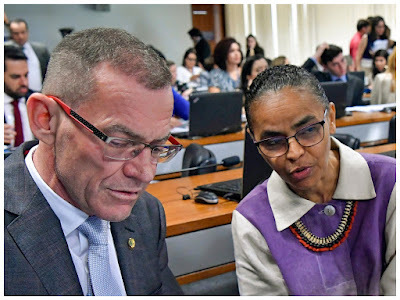 Não se iludam, a ONU continuará a congelar terras no mundo todo, e é claro, vai "incentivar" a agricultura com "novas técnicas". Isso faz parte das mudanças globais. Os ambientalista afirmam que 40% da produção agrícola brasileira e' jogada no lixo em perdas avaliadas pela Embrapa . Sustentam ainda que a lotaçao media das pastagens e' 0,5 UA/ha, e que deveria ser no minimo de 3 a 5 UA/ha...Pois bem ..Na verdade as perdas a q se referem sao em transporte, embalagem, distribuição, varejo e mesmo pelo nao consumo final. 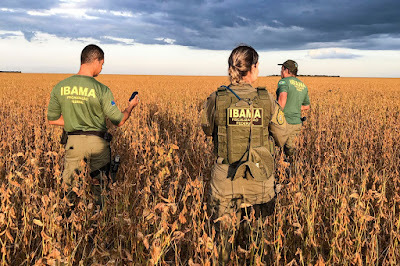 A lotacao de pastagens de 3 a 5 UA/ha, sem suplementaçao, so no pasto sem adubaçao, irrigaçao etc,, e' um milagre que eu pediria aos ambinetalistas que tanto gostam de dar pitaco em assunto que nao dominam, que nos ensinem a chegar a esses níveis de lotação. Enfim.. culpam o produtor rural por algo que nao somos responsáveis e que nem eles tem a capacidade de avaliar, muito menos julgar.. Sao canalhas, ignorantes ,presunçosos que deveriam se preocupar em fazer algo produtivo ao invés de criticar quem gera riqueza para o pais.